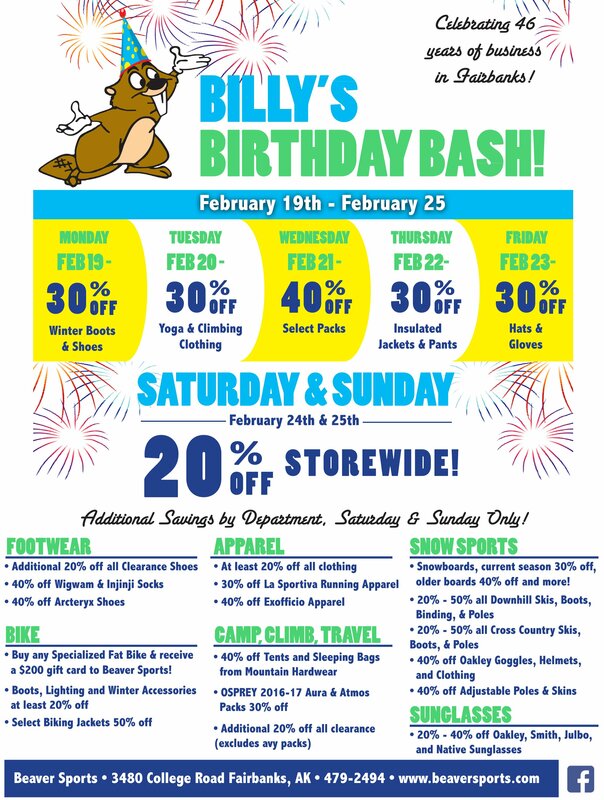 Don’t miss our biggest sale of the year as we celebrate Billy the Beaver’s Birthday and 46 years of doing business in Fairbanks! Follow us on Facebook for a chance to win these awesome prizes! Below are all the details of the big sale! Some exclusions apply to sale.